Attetion: this extension may cause extremly high cpu usage when adding/closing tabs in Maxthon 4.4.3.600 and above. Please migrate to http://extension.maxthon.cn/detail/index.php?view_id=340&category_id=. This is probably a result of using localstorage unproperly. 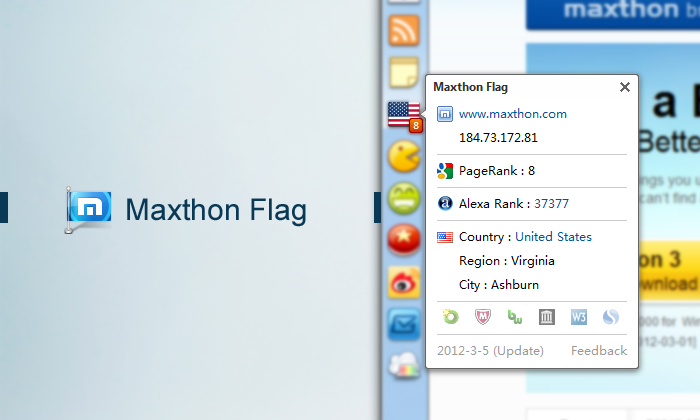 reply to fffonion: Maxthon v4.9.4.3000 Windows 7 64-bit, the Addon works. - Issues: It doesn't show Pagerank info and most of the time it needs manual update in order to show everything else correctly. Thanks for the heads up fffonion about the high cpu issue. I Hope there are update for Domain/Page Autority etc. 注意本插件在傲游4.4.3.600及以上版本会导致标签页新建/关闭时CPU飙升，建议换成http://extension.maxthon.cn/detail/index.php?view_id=340&category_id=.可能是用了localstorage的原因 Attetion: this extension may cause extremly high cpu usage when adding/closing tabs in Maxthon 4.4.3.600 and above. 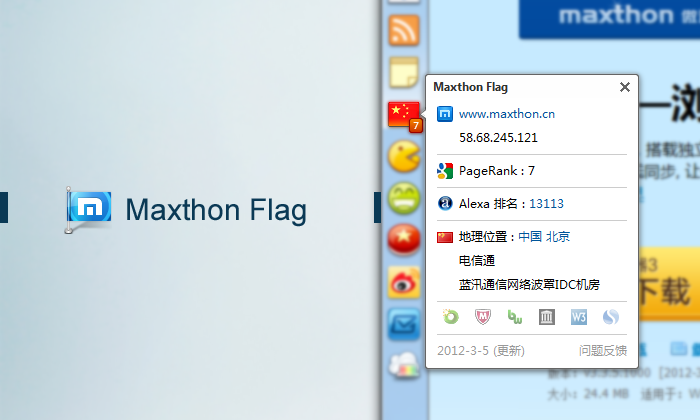 Please migrate to http://extension.maxthon.cn/detail/index.php?view_id=340&category_id=. This is probably a result of using localstorage unproperly.